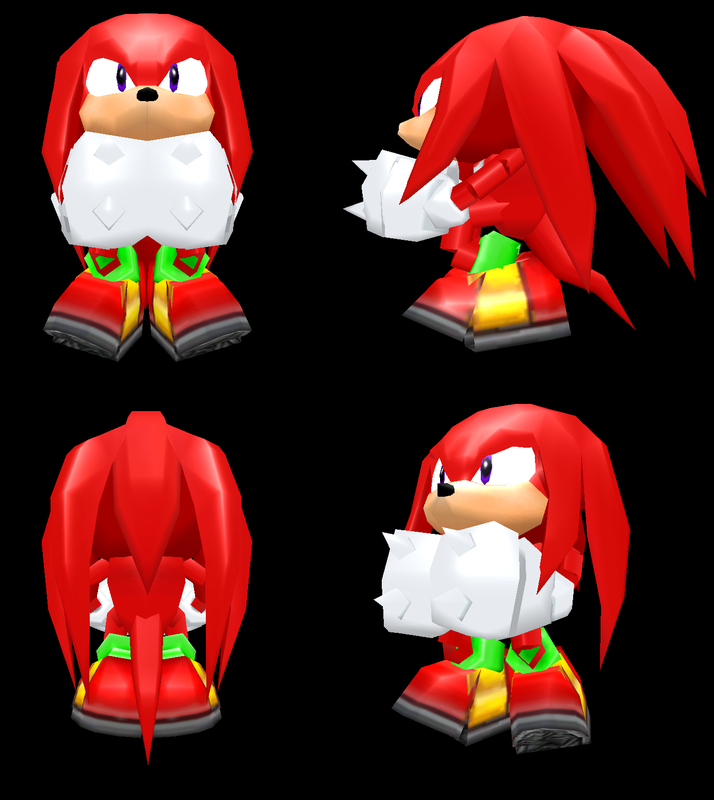 As unfortunate as it is, sound and music quality has suffered almost as badly as textures and lighting in SADX. Let’s have a look at the sound problems plaguing the ports. First of all, I’m going to be talking primarily about the PC version and later ports. This is because the Gamecube version’s sound format hasn’t been reverse engineered yet to allow direct sound quality comparions (although we can make some rough estimations). If you want to read about sound downgrades in the Gamecube version, skip forward to the part where I talk about sound bugs and missing sounds. Let’s talk about the music first. The Gamecube, Steam and nextgen console ports use ADX music files that are the same as in the Dreamcast version. 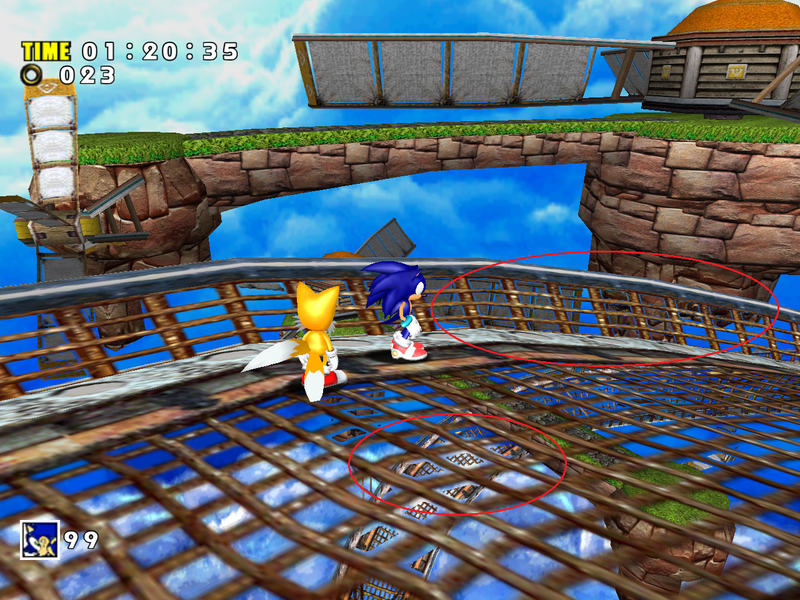 On the Dreamcast, some music tracks were downsampled in the versions of SA1 that contained both English and Japanese audio clips – this downsampling was undone for the GameCube version, so unless you own the Japanese version of SA1 this is technically an upgrade (however, the Steam and nextgen console ports fail to take advantage of it and end up sounding worse, which I will discuss later). 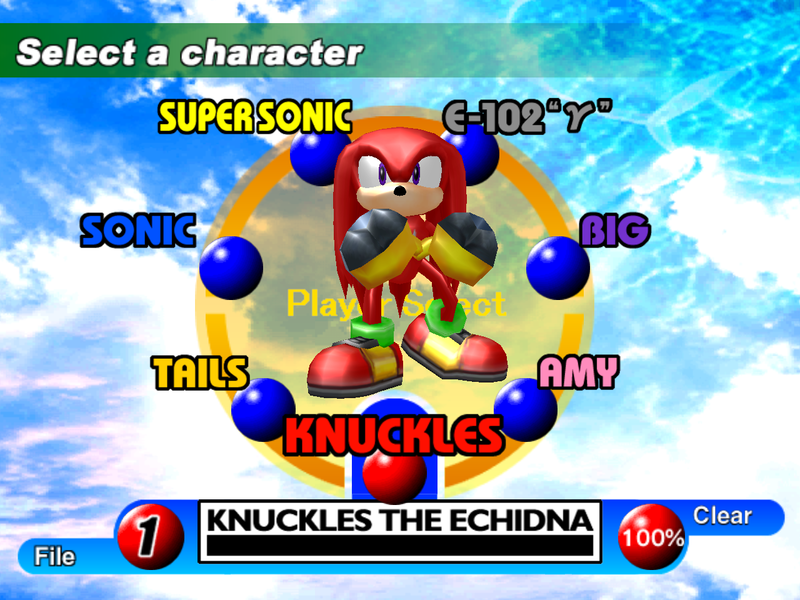 For the 2004 PC port, ADX music files were converted into WMA files. The main problem with the WMA format is lack of looping, which means the music in the PC port fades out and restarts at some point, while in other versions of the game it loops seamlessly. This isn’t a major issue, especially because the Mod Loader has brought back ADX music support. 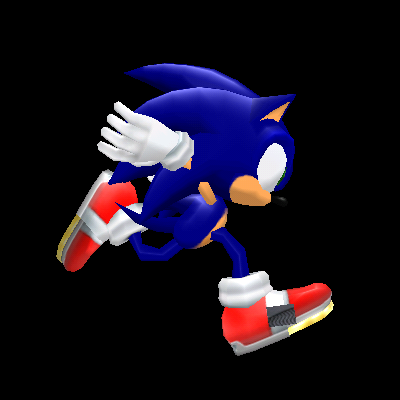 A well-known problem with the 2004 PC port is the stutter that happens during the kart race when you hit the jump panels and Sonic says “woohoo!”. When this happens, the game pauses for a brief moment. This has something to do with the voice clips being in the WMA format because it doesn’t happen in the ports that use ADX audio. 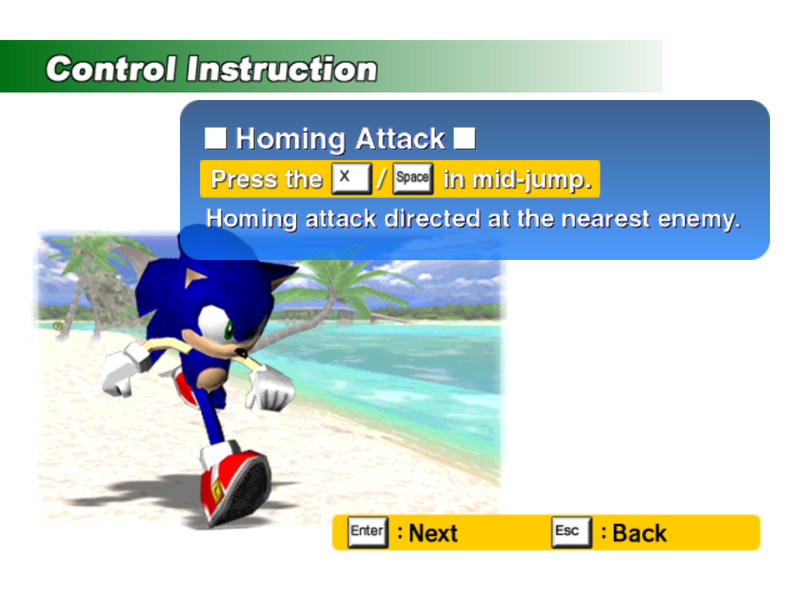 Thanks to the Mod Loader you can fix the problem in the 2004 PC port by installing a mod that replaces all WMA voice clips with ADX voice clips. I think the sounds speak for themselves, but by sound quality I mean not only technical things such as sampling rate, but also volume, processing effects and looping of various sounds. 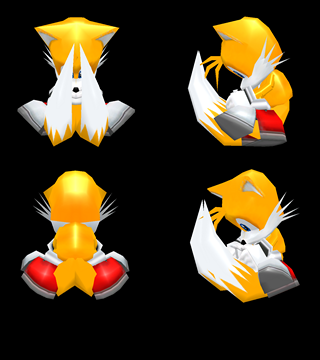 The biggest problem with SADX sounds is that they are too quiet. 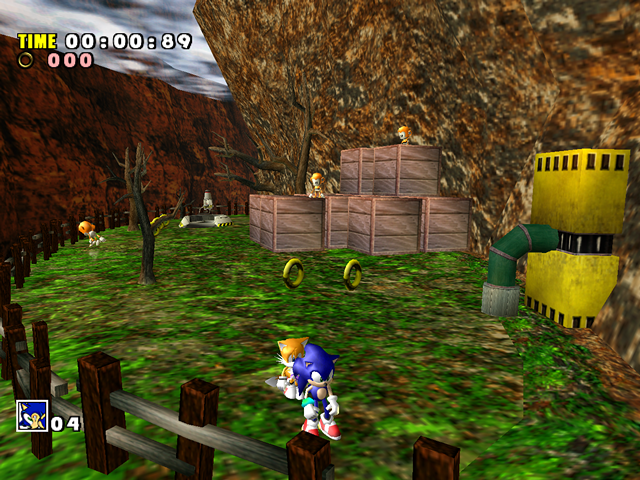 In the Dreamcast version, almost every Action Stage and Adventure Field has some kind of a background noise that is loud enough to be audible without washing out the music. 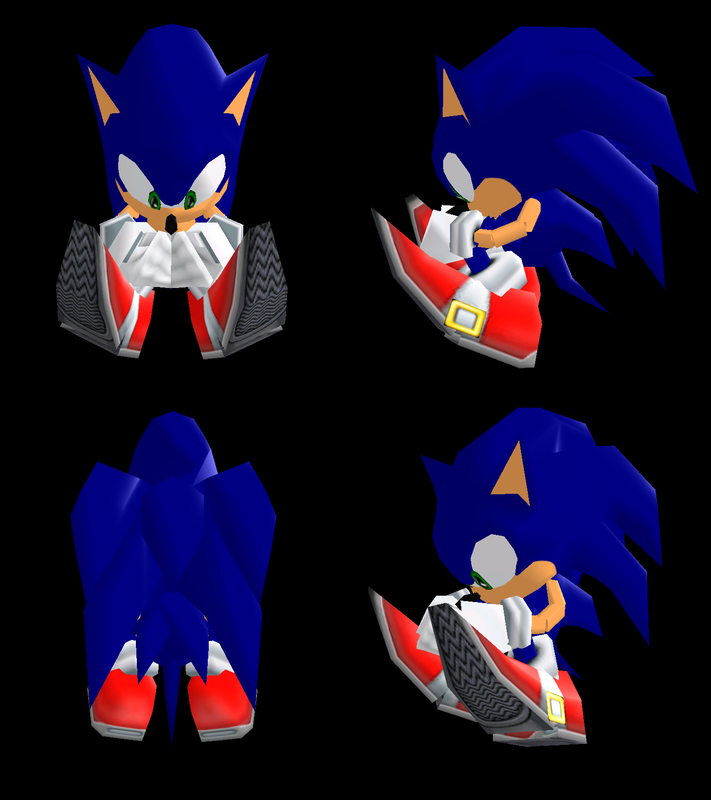 Those sounds are still present in SADX, but they are so quiet a lot of people think they are missing. One of the most illustrative examples is the machinery noise in Final Egg Act 1, which you are supposed to hear right from the start, but it’s barely audible in SADX. 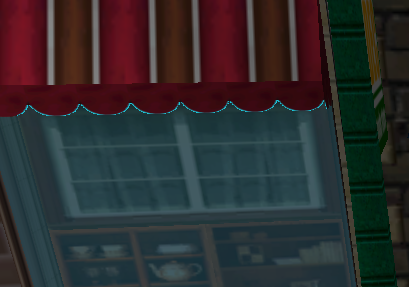 The sea in Station Square hotel is also barely audible in SADX. 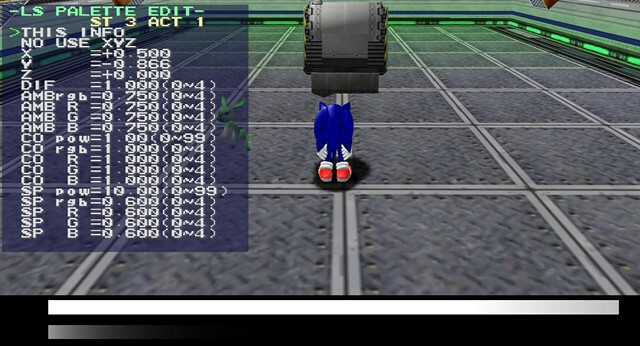 Another example is the ticking sound of the clock in Speed Highway Act 3, which is there but due to a combination of low volume and SADX’s positional audio weirdness it’s rarely heard ingame. Some sounds have missing digital processing effects. For example, if you watch the cutscene before the Chaos 0 fight, you can hear the sound of bullets falling on the ground after the police shoot Chaos. 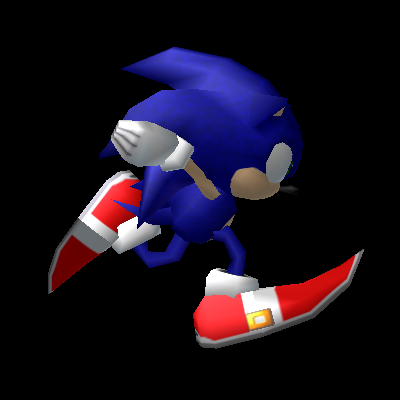 In the Dreamcast version, that sound had a reverb effect that created the impression of multiple bullets falling, but in SADX it sounds like a single bullet. 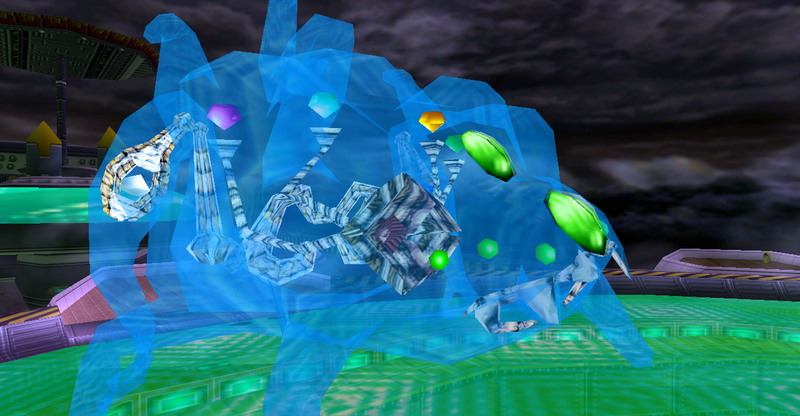 A similar problem happens with Zero’s chest thumping sound, which is barely audible in SADX because of the missing reverb effect. 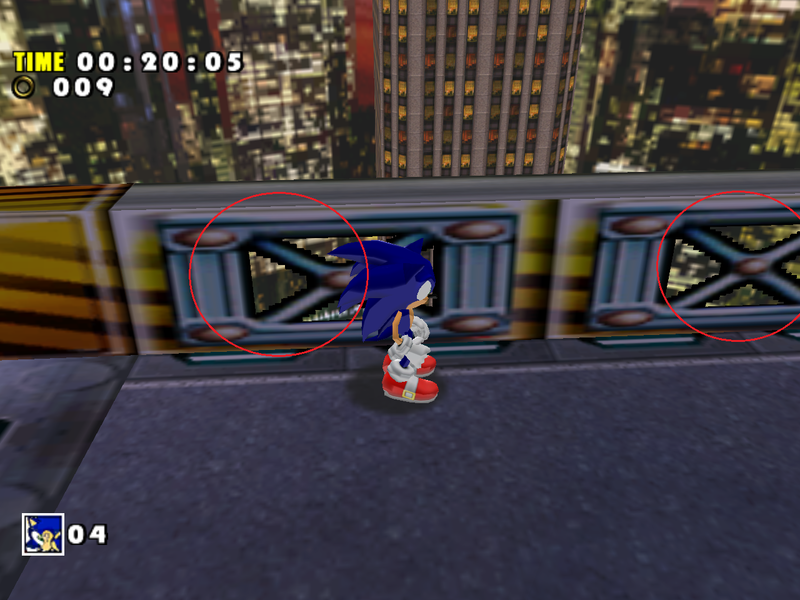 There are several sound bugs in the ports that cause sounds to play too early or too late, or not play at all. 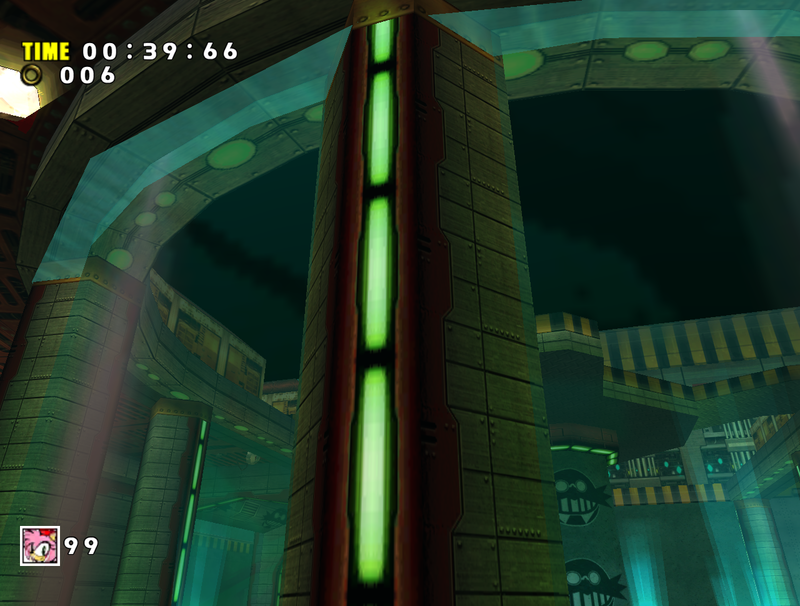 The game’s sound engine doesn’t always work well with the increased framerate of the port, which causes some sounds to get cut off or loop incorrectly. A good example of that is the looping background engine noise of the Egg Hornet, which plays fine at 30 FPS, but cuts off at 60 FPS. 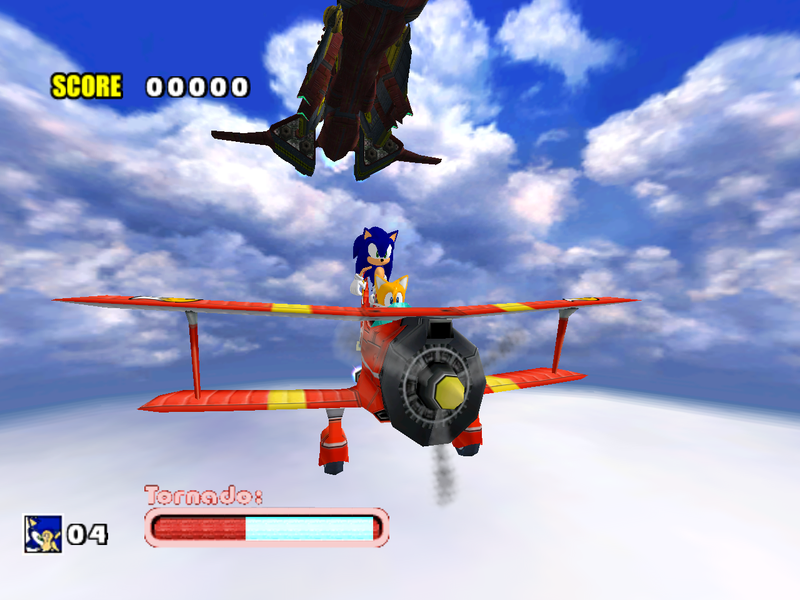 As for the sounds that play too early, most of the cutscenes involving the Tornado crashing or landing have sound timing problems. For example, in the cutscene where the Tornado 2 lands on the Egg Carrier, the metal screeching sound plays before the Tornado actually touches the Egg Carrier. 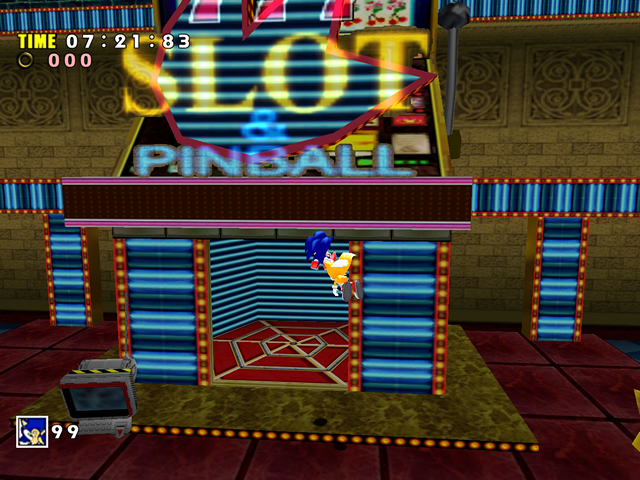 This doesn’t happen in the Dreamcast version. 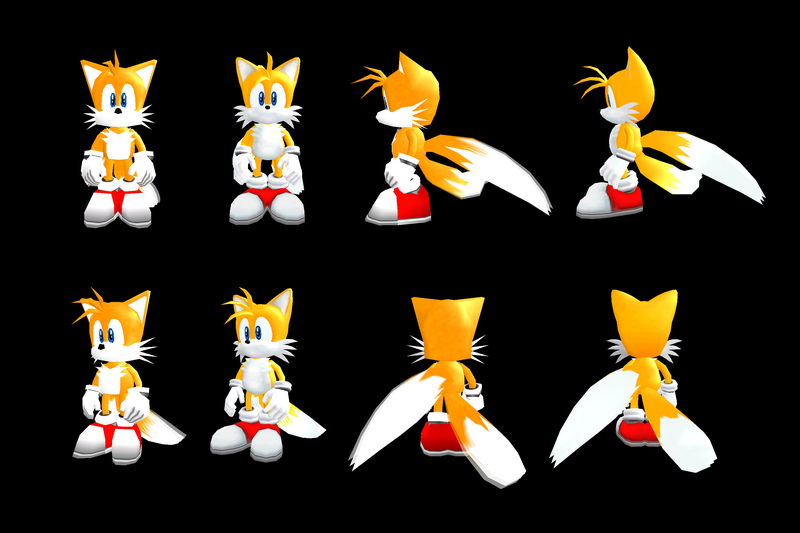 The Dreamcast version also has a few sound problems like that (for example, the sound of the Tornado crashing in Tails’ opening cutscene plays too early and gets cut off), but SADX has many more. 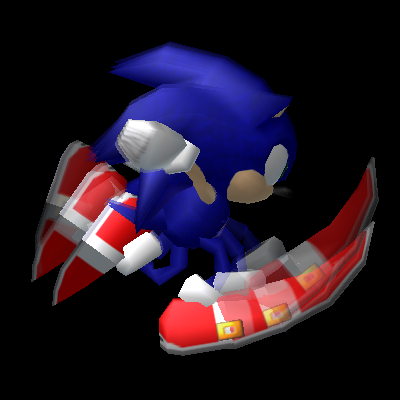 The spindash sound gets cut off if you have the Light Speed Dash upgrade. 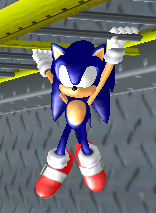 In the cutscene where Knuckles attacks Sonic, Sonic says “Whoah!” before jumping backwards. 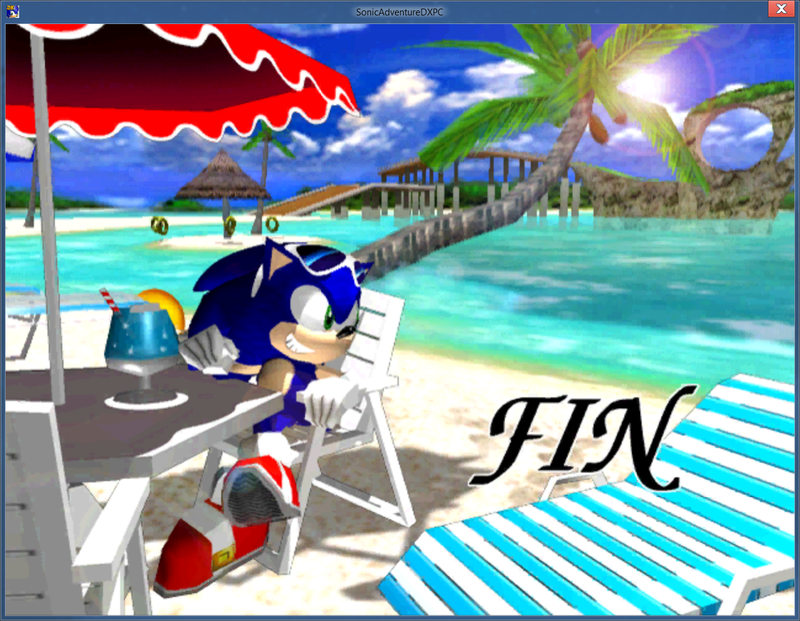 It isn’t heard in SADX because Sonic’s soundbank isn’t loaded by that cutscene. 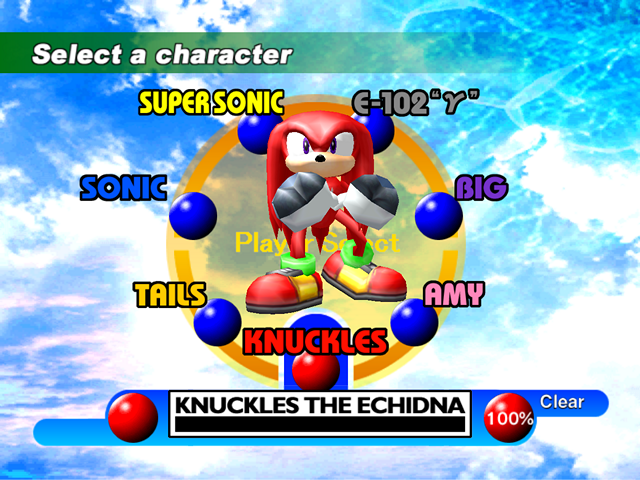 A thud noise is missing when Sonic (or Tails) and Knuckles run into each other and drop the Chaos emeralds before Chaos 4 emerges. 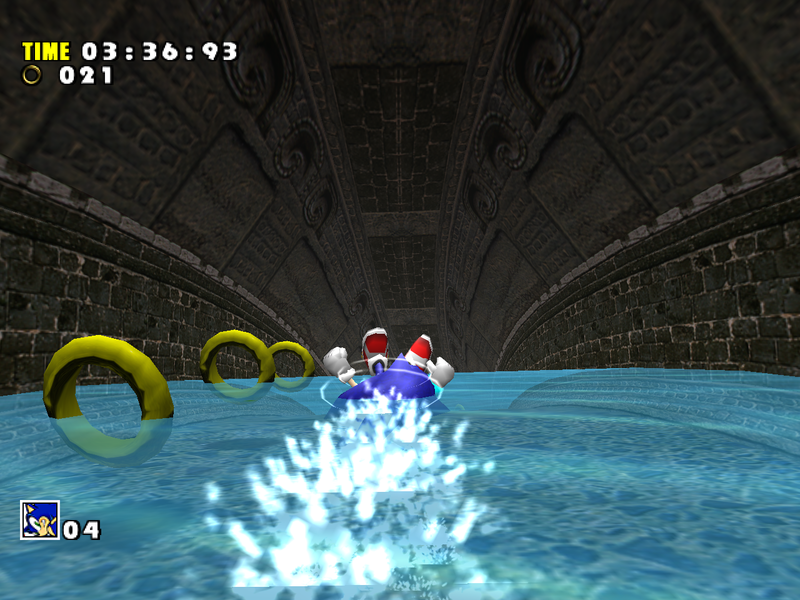 The water splashes made by Chaos 4 are muffled by another sound that was mistakenly set to stereo, which interferes with the positional audio system. A skid noise when Beta backs up just before his first boss battle is missing. 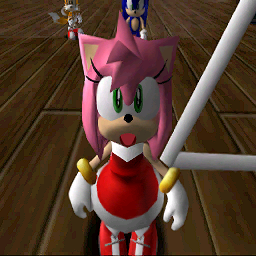 A foreboding noise when ZERO’s shadow casts over Amy in the cutscene after Twinkle Park is missing. 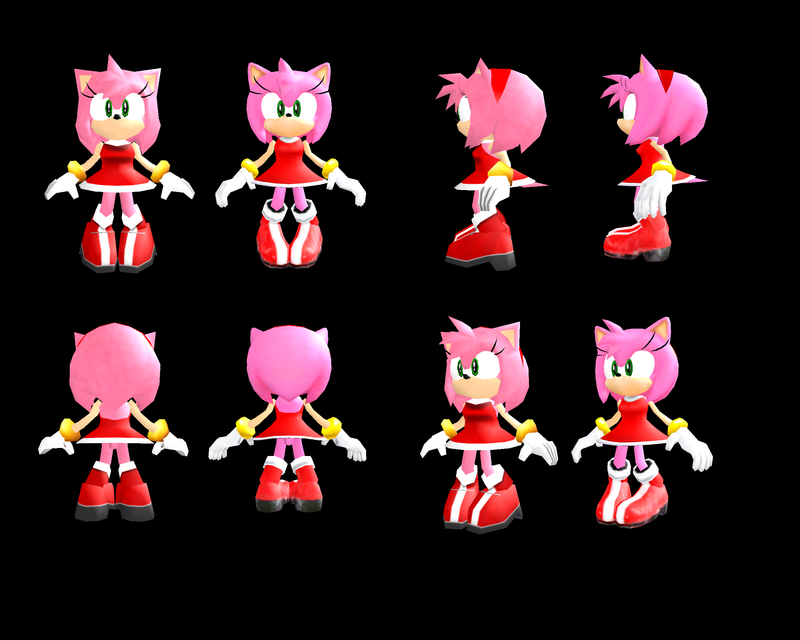 The cutscenes in Amy and Gamma’s story where Gamma lets Amy escape load the wrong soundbank, which causes the cutscenes to either be silent or play random unrelated sounds. 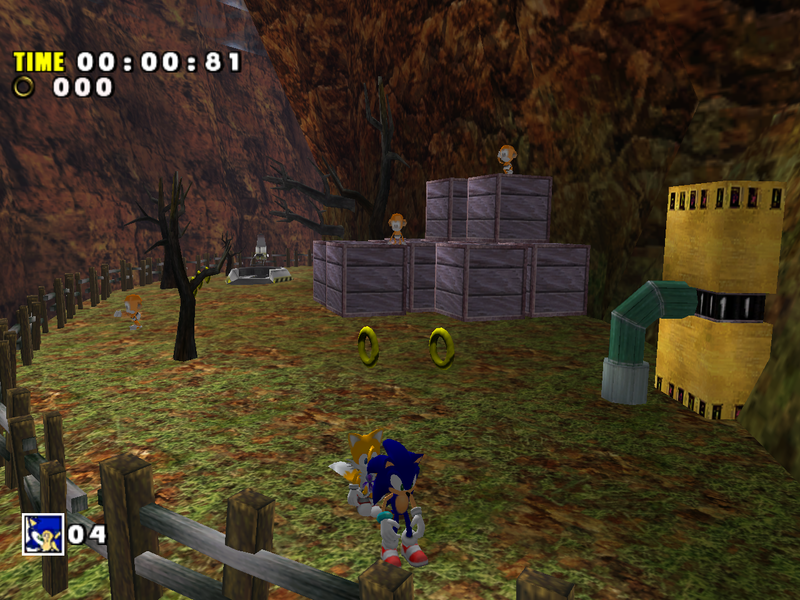 Bush rustling in the Angel Island hub no longer loops, although the sound is still there. The rings that NiGHTS takes you through in Casinopolis’ NiGHTS pinball game no longer make a sound as you travel through them. The bombs dropped by the airplanes in Ice Cap Act 3 no longer make a whistling sound as they fall down, and their explosions are silent. The sound of collecting rings is in mono instead of stereo – this is because the sound file itself was converted to stereo. 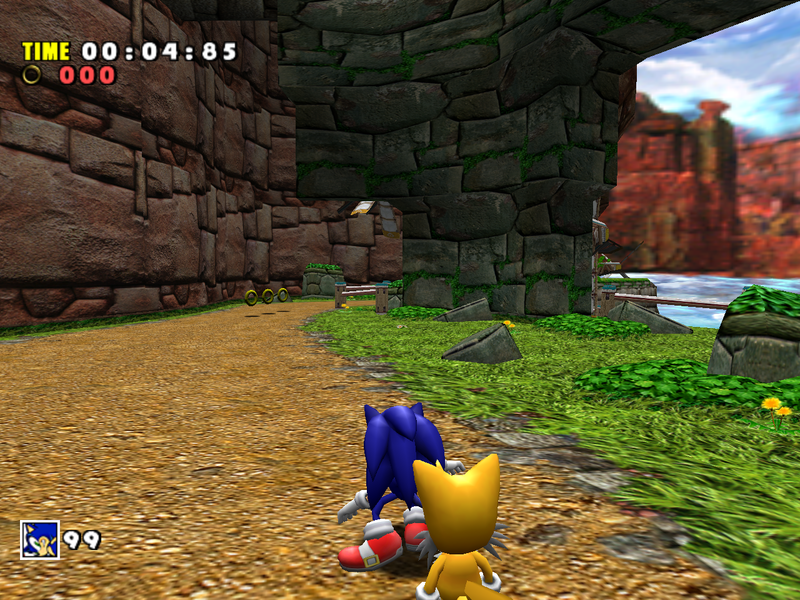 The game alternates between the left and right channel when playing this sound, which requires it to be in mono. 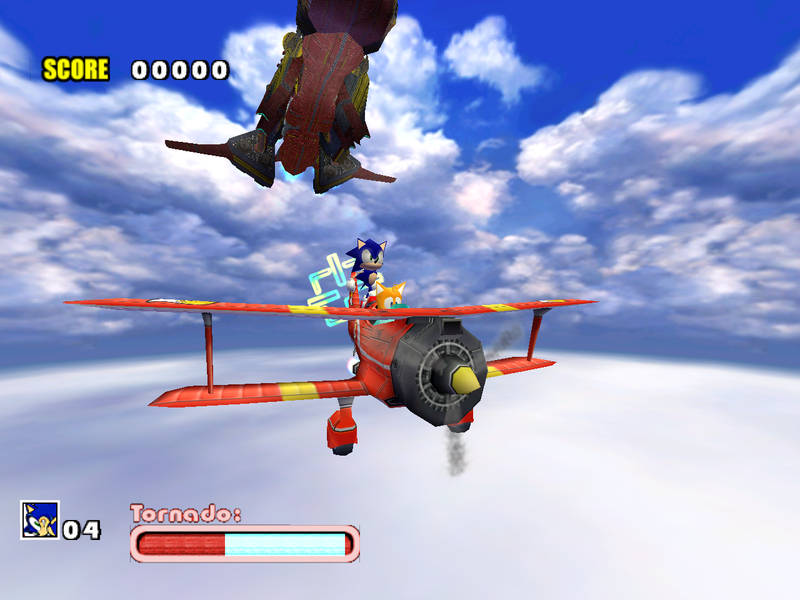 In Sky Deck Act 2, Eggman’s announcements when the ship changes altitude (“Descending into the clouds; slow the ship down!” or “Go up! Full speed ahead!”) are no longer heard because they were removed from the Sky Deck soundbank. The game still plays them if the sounds are put back into the soundbank. 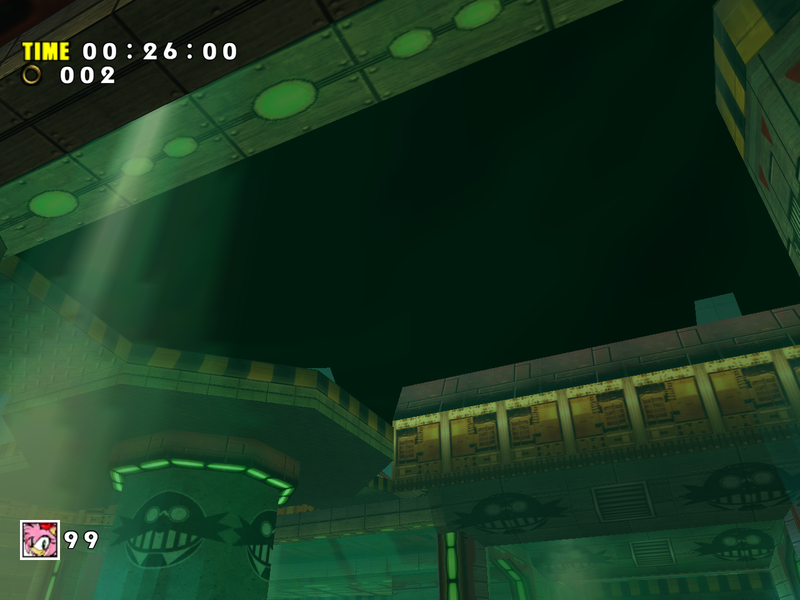 The ambient machinery noise at the Mystic Ruins Final Egg base is missing – the noise sound was replaced by a single beep, and the function to play the noise was disabled in code, probably because the developers realized that the replacement was annoying. It’s unclear why the original sound was replaced. Hot Shelter loads the wrong enemy soundbank, which makes badniks like the Egg Keepers play the sound of the ocean. 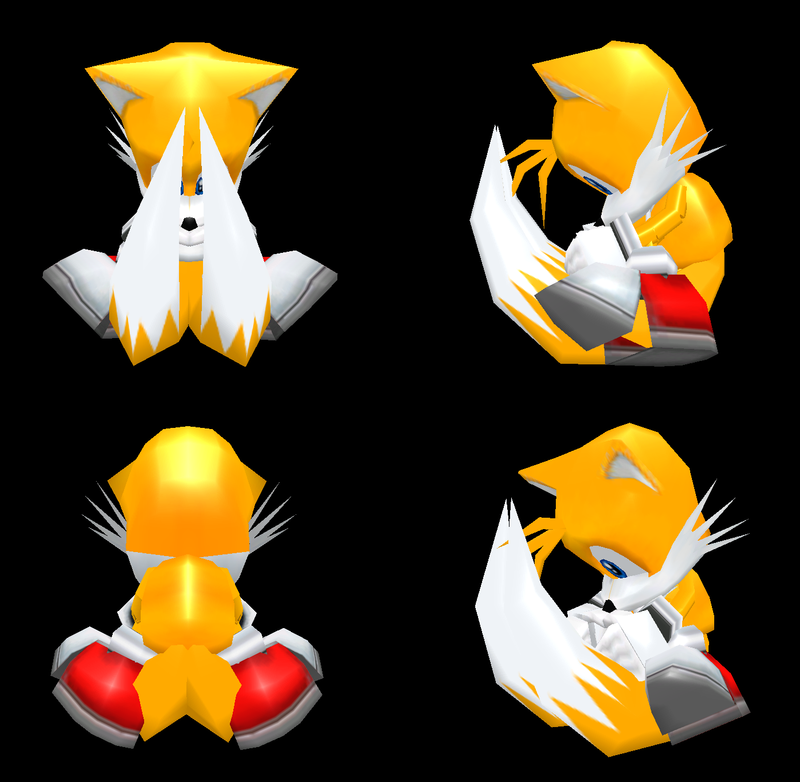 The Chao soundbanks were replaced in SADX because the Chao system itself was changed to be more like SA2B. We talk more about Chao-related downgrades on the Chao Gardens page, so here let’s focus on the sounds. 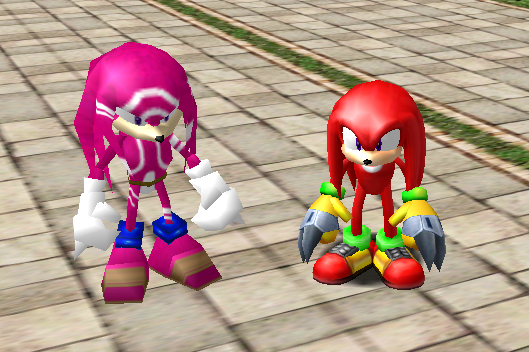 It’s hard to compare sounds directly because the soundbanks are very different between SA1 and SADX. Nevertheless I found some identical sounds that we can compare. Which one do you think sounds better? Finally, let’s discuss the ADX playback downgrade in the Steam and Dreamcast Collection ports. Sound quality in the 2010 ports is undeniably the worst among all versions of the game. Unlike SADX Gamecube and PC 2004, these ports have the opposite problem with sound volume. The background noises drown out almost everything but the music (example: try playing Casino Act 1, where even the music is barely audible because of the gushing water noise). There’s also something noticeably wrong about sound quality. I originally assumed those problems came from the sounds themselves, but apparently it’s a bit more interesting. ADX is a closed-source lossy ADPCM-like format, which uses a prediction-based algorithm for decompression. 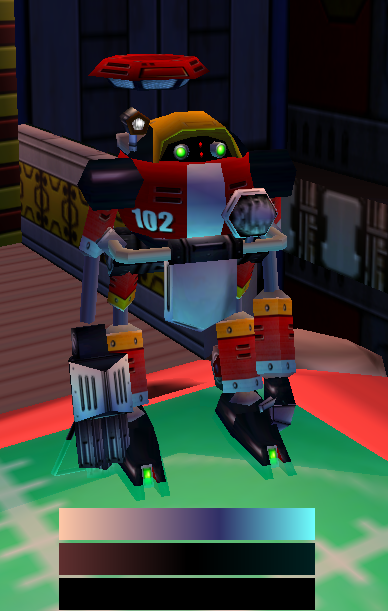 Perhaps there was a precision error either in the game’s programming or with how the sounds were originally encoded, and they ended up sounding inaccurate ingame. Maybe they were encoded with one version of the algorithm, but the game uses another. I’m getting similar results with some tools. 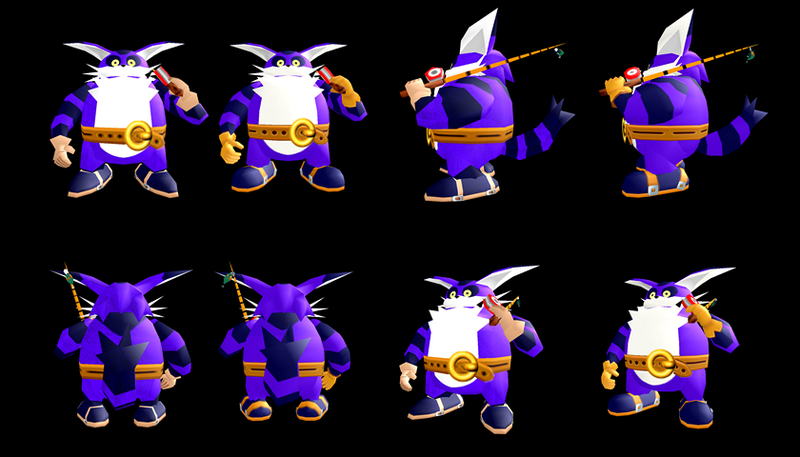 To test my guess, I set up scripts to convert all soundbanks from the Steam version into the format supported by the 2004 PC port – these scripts are now used in my mod installer. The quality of sound effects in the Steam version is about the same as in the 2004 PC port, though many sound issues from the 2004 port remain unresolved. Unfortunately the Steam and nextgen console ports of SADX fail to play these sounds in their original quality. 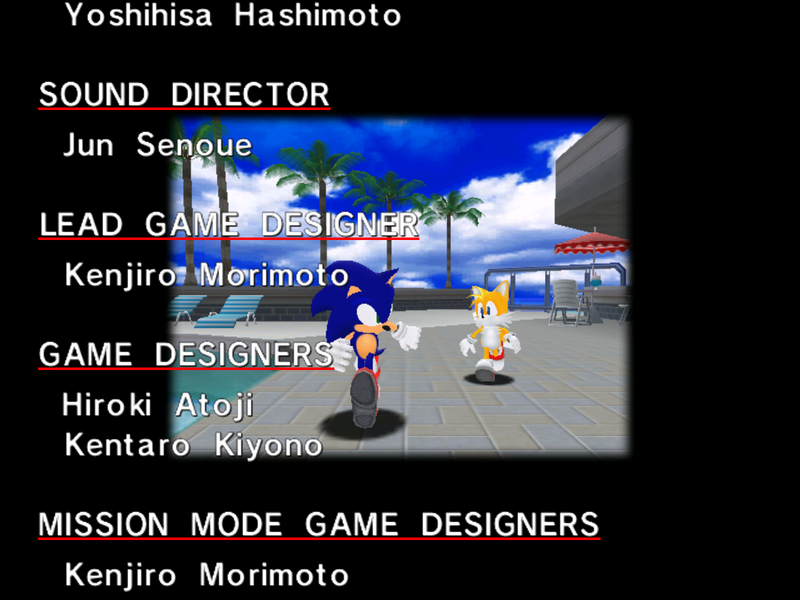 To fix sound problems in the PC version of SADX, I went through all sounds in the Dreamcast version (except Chao-related soundbanks) and converted them into a format supported by the 2004 PC port with proper looping where necessary. I’ve also adjusted the volume of background noises, added processing effects to several sounds and restored many missing sounds. The majority of sound issues mentioned in the blog post is now fixed in the 2004 PC port with the Sound Overhaul 2 mod. To learn more about mods for the PC version, visit the “Fixing the PC version of SADX” section on this blog. 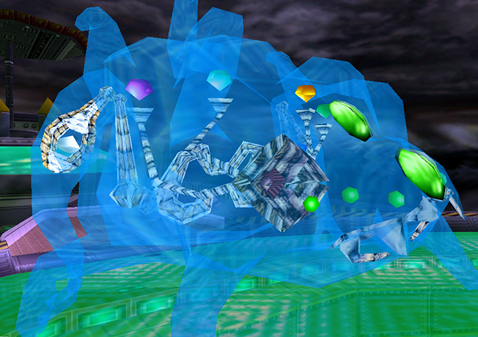 When Sonic Adventure was redesigned with the “DX” branding, some of its Action Stages and Adventure Fields received new textures. In some cases those textures are higher resolution than the Dreamcast version, in other cases they aren’t. Some offer more variety than the original game, most of them don’t. 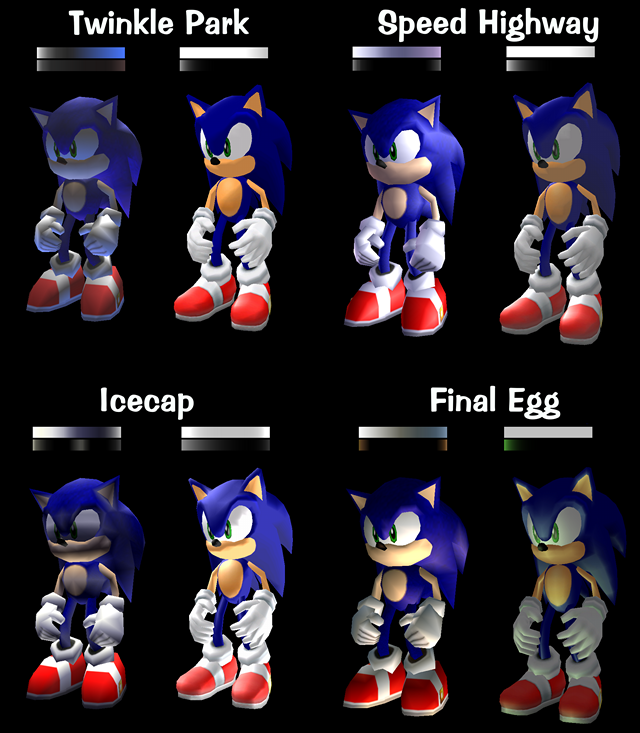 In some cases the textures are completely new, in other cases the new textures are recycled or slightly edited Dreamcast textures, sometimes in lower resolution (Final Egg) or with reduced saturation (Ice Cap). 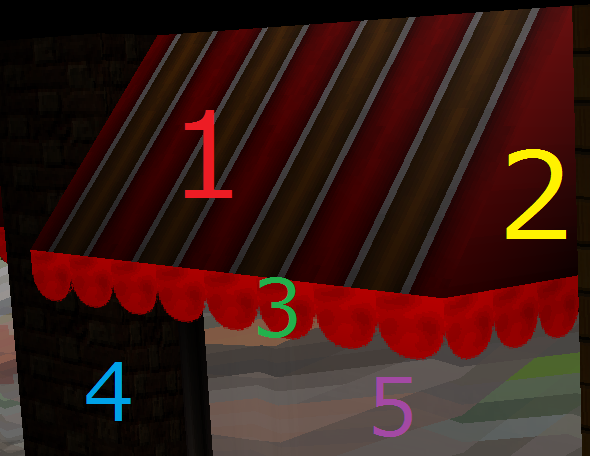 You can read more about textures used in a particular level on each level’s page. 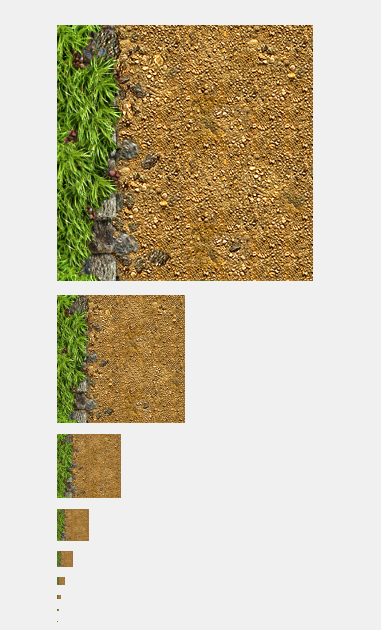 This page is about texture quality in general. It examines the problems with texture quality in SADX Gamecube and PC and explains why the quality reduction happened. Textures that weren’t redrawn for SADX (which make up the majority of textures in the game) were recompressed each time the game was ported to a platform that used a different texture format. 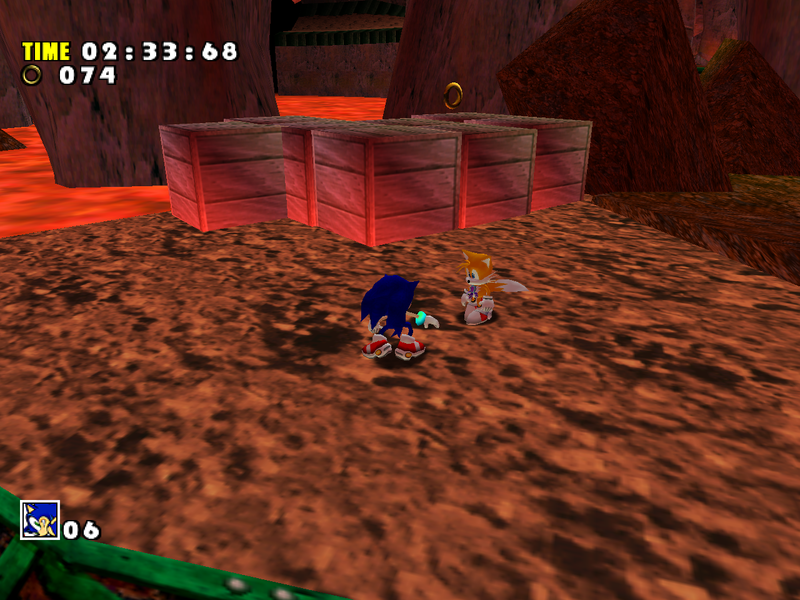 The Dreamcast’s native PVR format is rather limited and allows only a couple of texture formats. 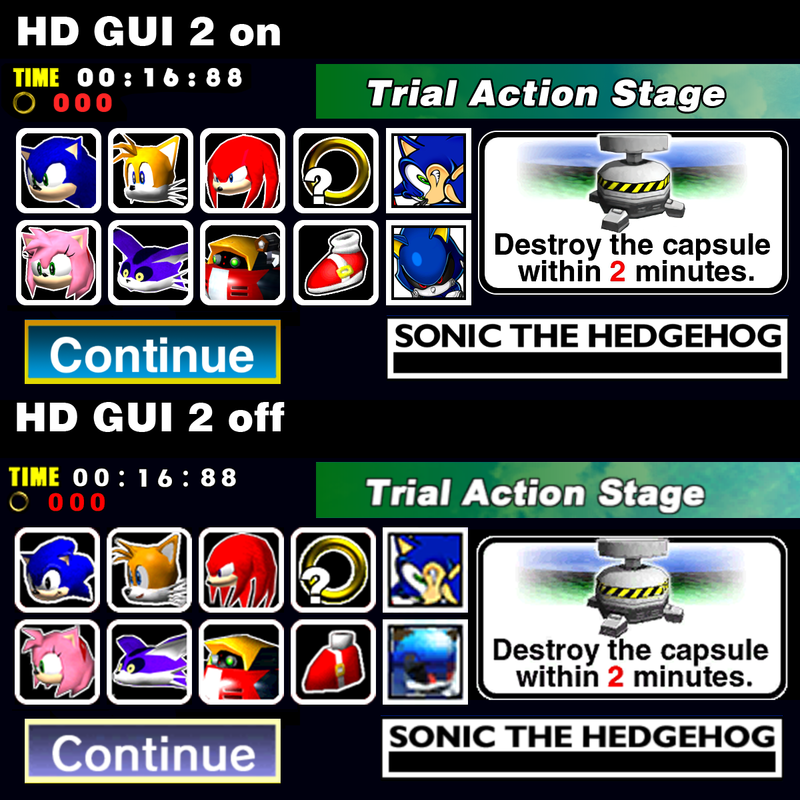 The Gamecube’s GVR format is more flexible than PVR, and allows several more texture formats. 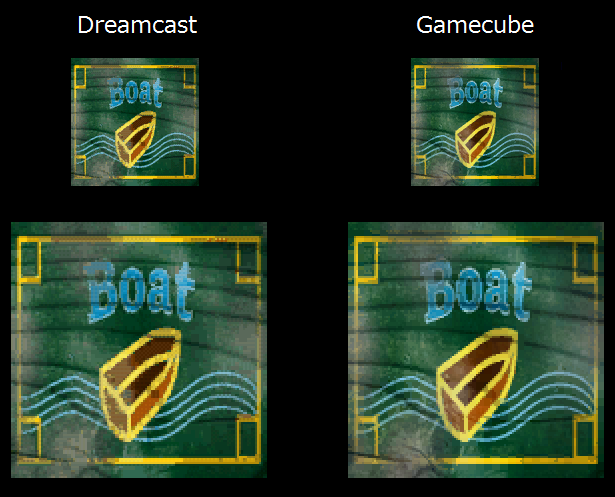 Both formats are lossy (unlike BMP or PNG for example), which means some source information will be lost when a texture is saved in a format like that. 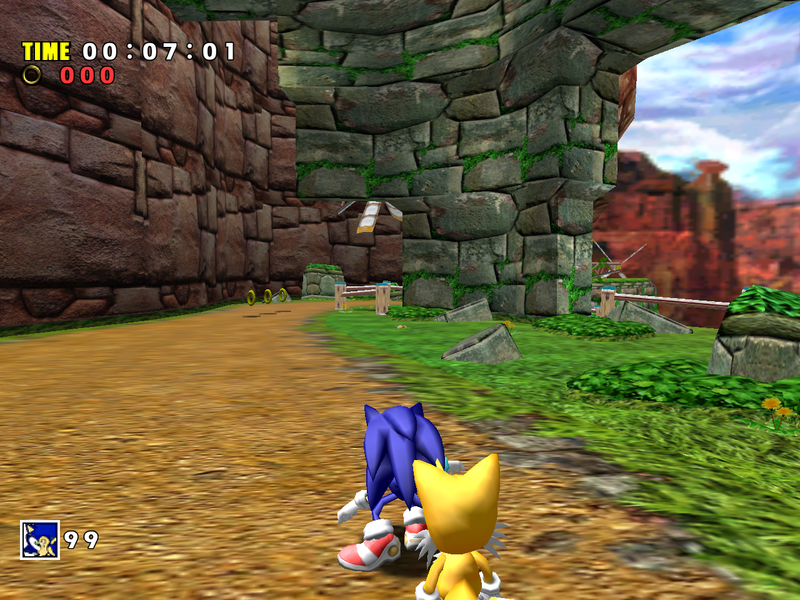 The developers of the original game handled PVR limitations with great care (or they just had good conversion tools), and the Dreamcast version has pretty sharp textures for an old and limited format like PVR. Normally there would be no issue with converting a PVR texture into some other format. In SADX, however, there is a visible quality loss. Let’s see why. 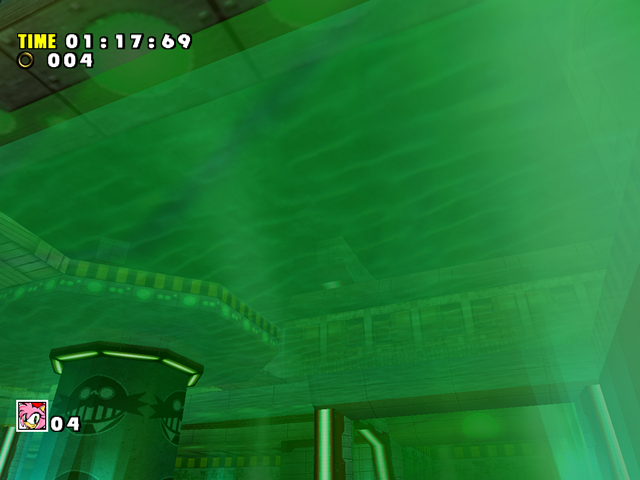 RGB565 – an opaque texture where each pixel uses 5 bits for red and blue and 6 bits for green. ARGB1555 – a transparent texture where each pixel uses 1 bit (on/off) for transparency and 5 bits for red, green and blue channels. 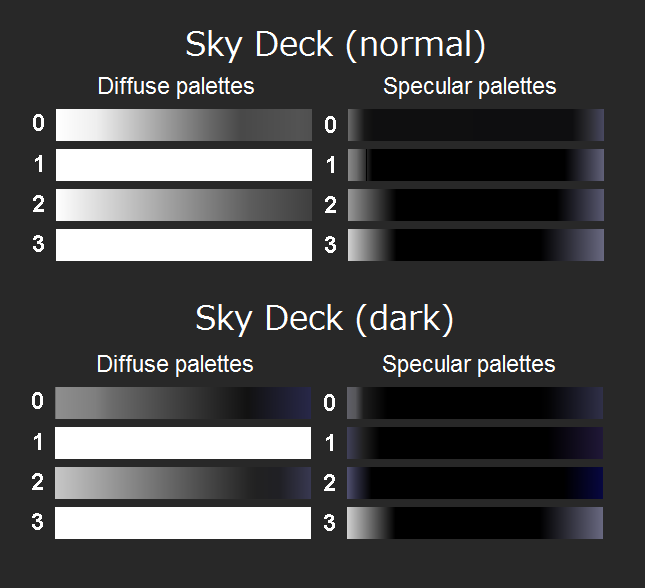 ARGB4444 – a transparent texture that uses 4 bits for red, green, blue and transparency. The GVR format used in the Gamecube version supports additional texture formats, such as ARGB8888 (8 bits for each color and transparency – same as in lossless bitmaps), as well as DXT1 compression. However, when the Dreamcast textures were converted into GVR, the source format (for example, RGB565) was neglected, and the destination format didn’t accommodate for all the color information that was present in the original texture (for example, instead of 5 bits for each color, only 4 were used). 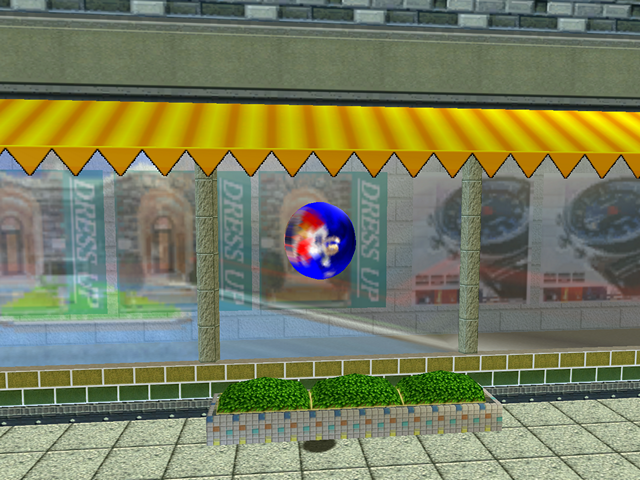 As a result, some information was lost when the textures were converted, and most textures in the Gamecube version are lower quality. The recompression happened again in the PC version, which switched the textures back to PVRs. 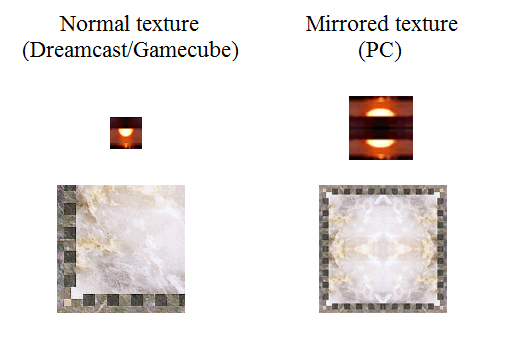 Instead of using the original PVR textures from the Dreamcast version, the developers decided to recompress the already lossy Gamecube textures back into PVR, making the same mistake for the second time. It’s quite likely that the developers of the port didn’t assess texture quality after conversion. 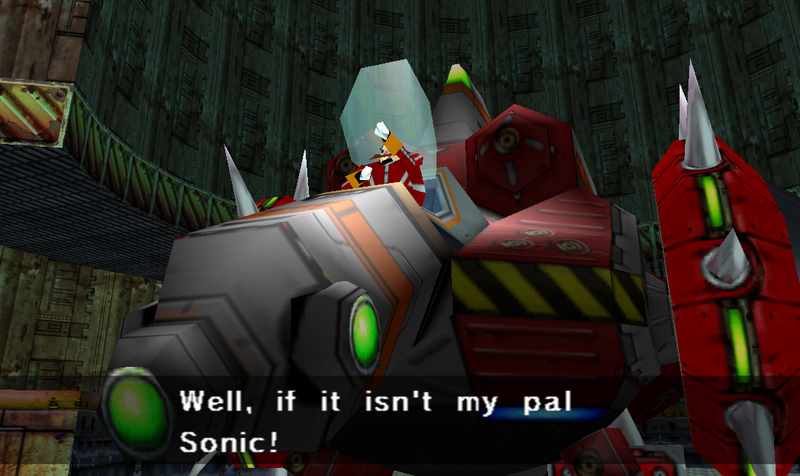 On the retail Gamecube disk of Sonic Adventure 2: Battle there is a leftover script that was used to convert the Dreamcast PVM texture archives into Gamecube GVM archives. It’s highly probable that something similar was used for each port of SADX. 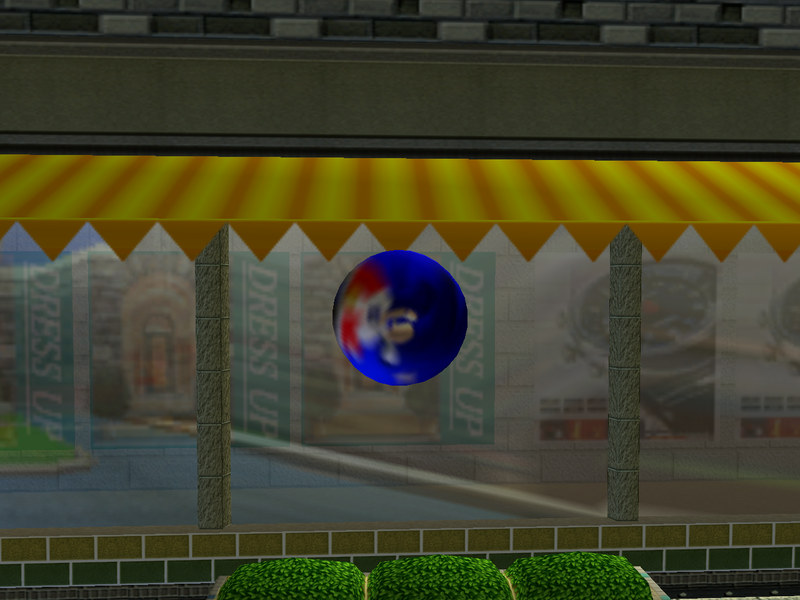 It must be said, however, that there are at least several textures in the Gamecube version of SADX that appear to be higher quality than the Dreamcast version. 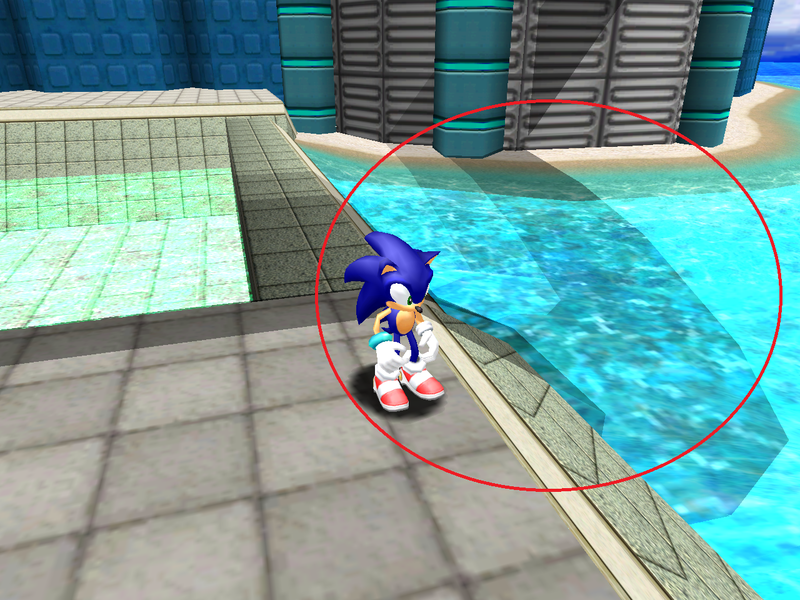 These textures are sometimes found in levels that were redesigned in SADX. At the moment there are only six textures known in the entire game that have better compression in the Gamecube version. One texture is found in the Mystic Ruins main area (see below), the rest are in the first segment of Final Egg. 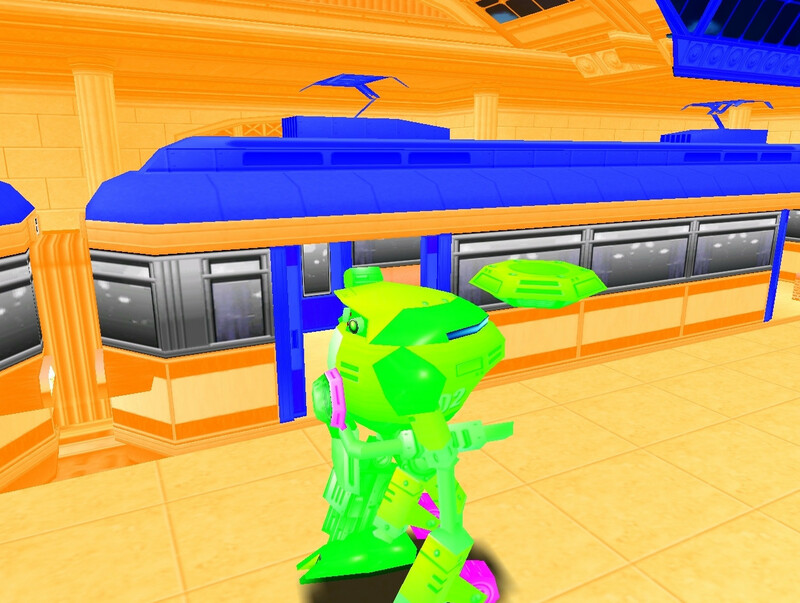 Mipmaps are beneficial because they give the textures a smoother look. 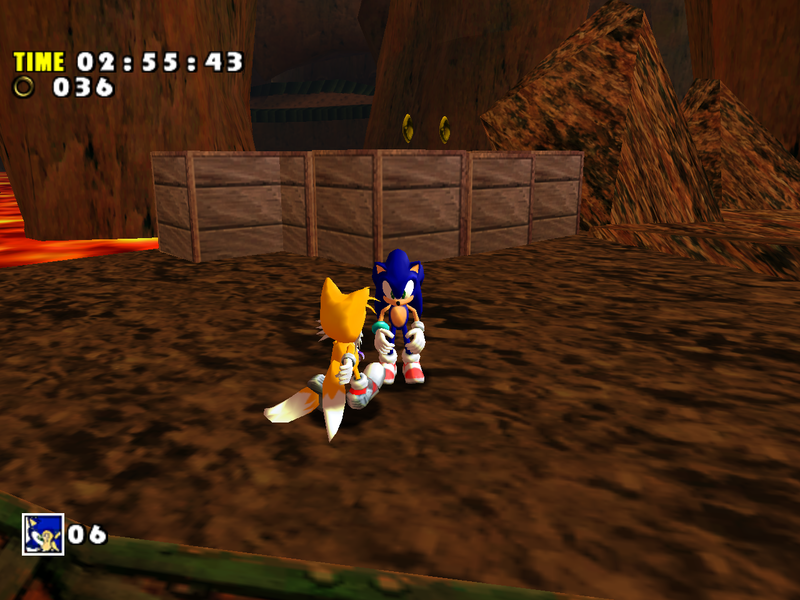 The 2004* PC version doesn’t have mipmaps, which makes the game look significantly worse because the distant textures are reduced to pixelated garbage. It’s especially noticeable in motion with a lot of flickering. Thankfully the Mod Loader has a built-in feature that generates mipmaps for all textures, and before the Mod Loader there were texture edits for the PC version that added mipmaps. 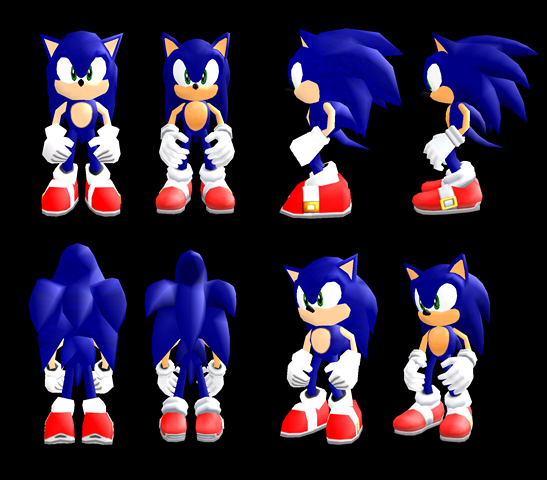 These fixes are essential if you’re playing the 2004 PC version with original textures. *The Steam/nextgen console port doesn’t have built-in mipmaps either, instead it generates them on the fly like the Mod Loader. The textures themselves are the same between these ports and the 2004 PC port. While those ports don’t have the flickering, all other points regarding texture quality mentioned in this post apply to the Steam/nextgen console versions as well. 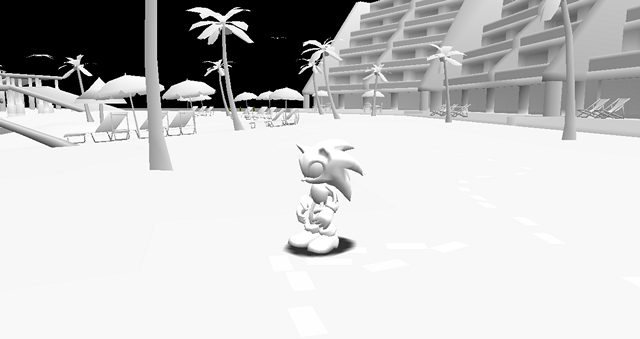 Although anisotropic filtering improves the look of distant textures, it can’t completely remove distant flickering that you sometimes see in motion. 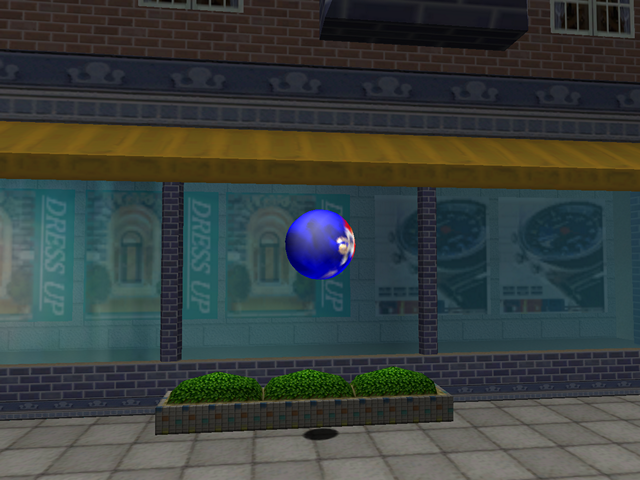 The only real solution for that is to use mipmapped textures. 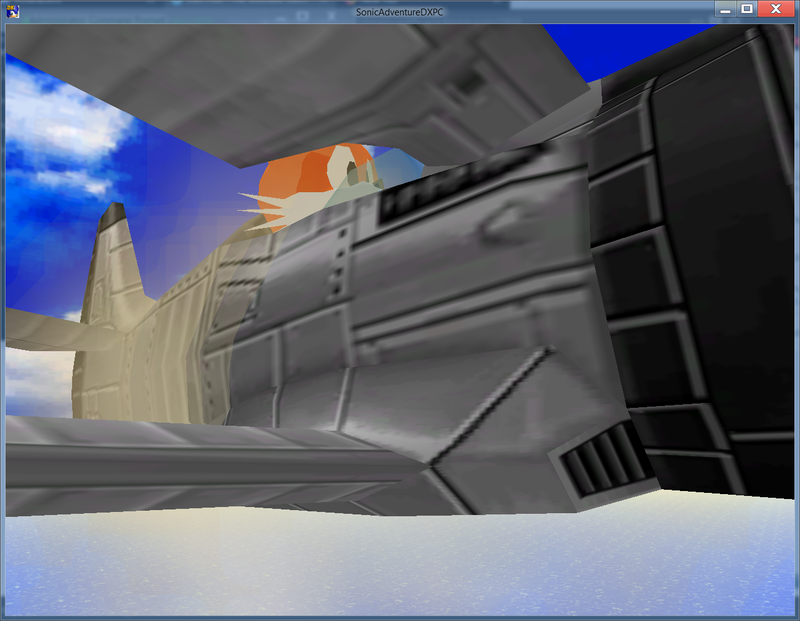 But even when not in motion, the mipmapped textures look a little smoother. 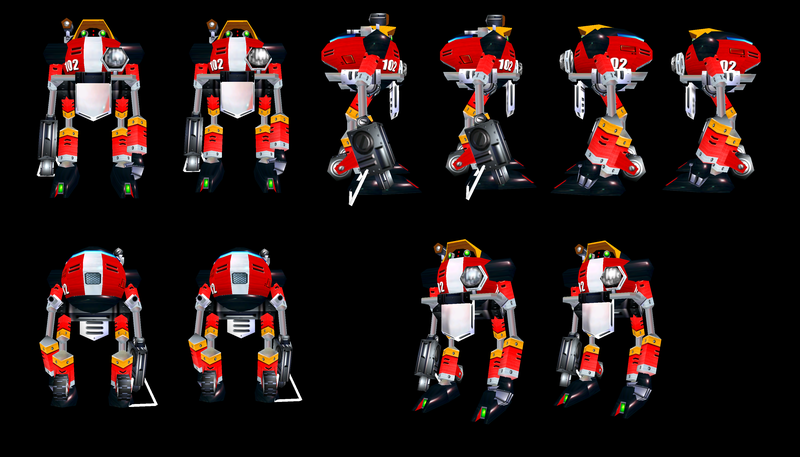 For comparison, here is what the “maxed out” texture quality looks like. 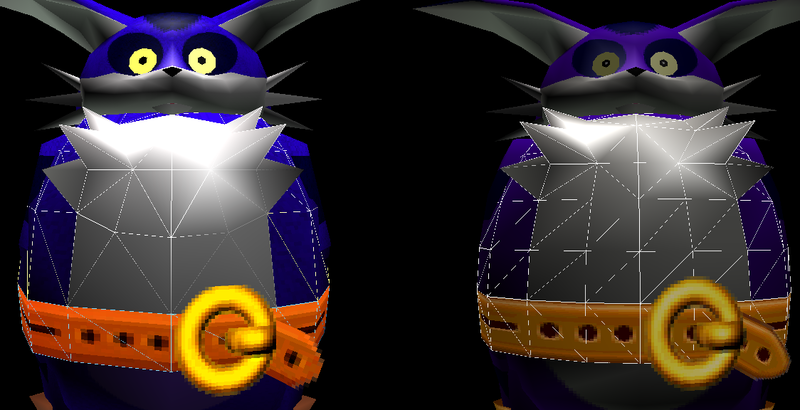 In addition, the developers sometimes adjusted the UVs on the models to use a mirrored texture, but forgot to mirror the texture, and vice versa. 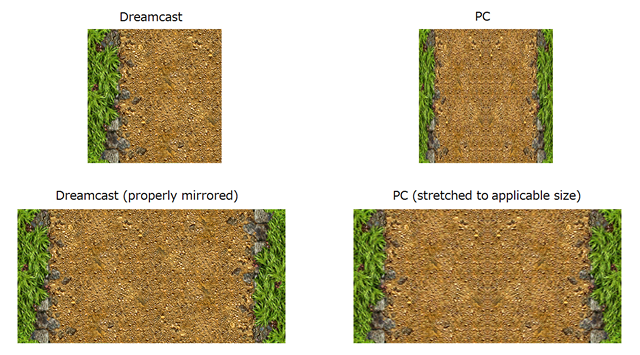 There are several noticeable problems with texture mirroring in different levels in the PC version. You can read more on that in posts dedicated to each level. Twinkle Park and Lost World are good examples. It may be hard to discuss artistic changes in SADX because everyone’s aesthetic vision is different. 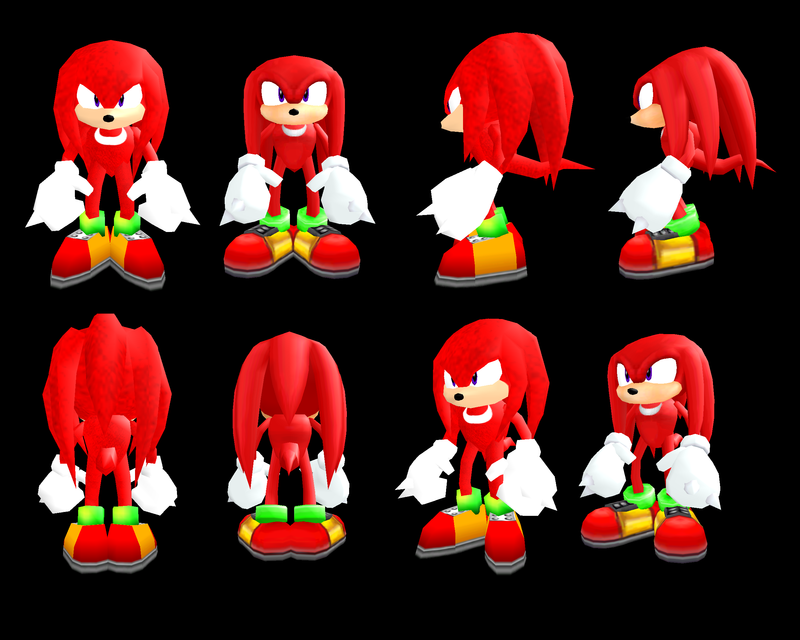 Someone may prefer the more “realistic” look of the new textures introduced in SADX. Those who prefer the original Dreamcast look may think those new textures look lifeless and boring (in some cases they are literally the same textures but desaturated), but to each their own. 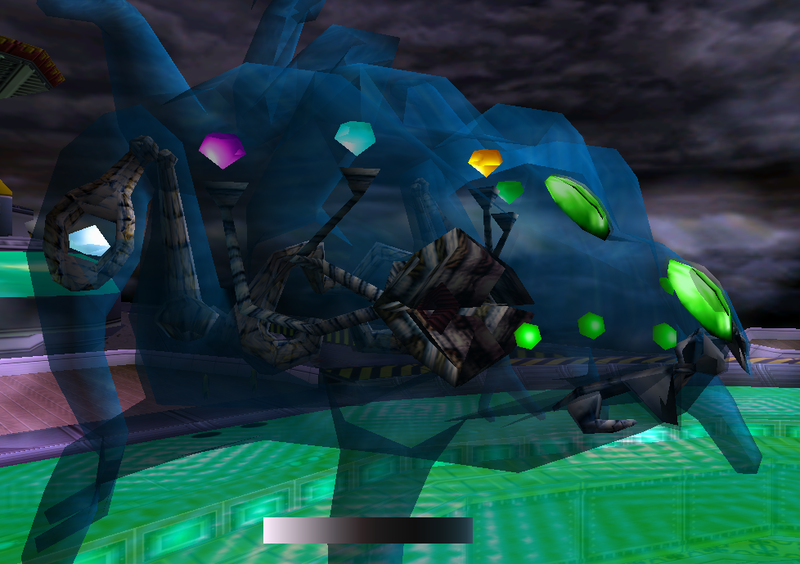 However, when it comes to textures for levels that weren’t redesigned, the Dreamcast version has the highest quality textures, and each subsequent port has more and more problems coming from mindless recompression. 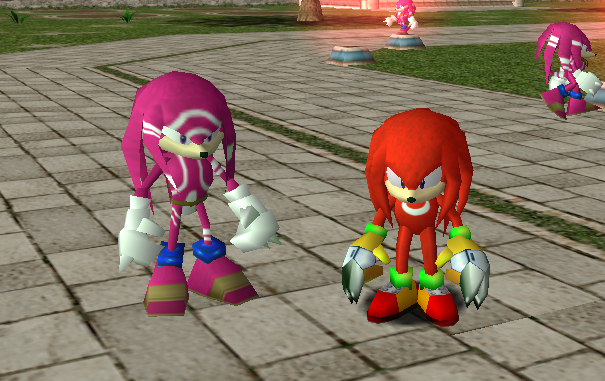 This is a pretty terrible situation because the Dreamcast version is now the least accessible release, while the inferior PC and nextgen console ports, which are the most accessible ways to play the game right now, have got the worst quality textures out of all versions of the game. 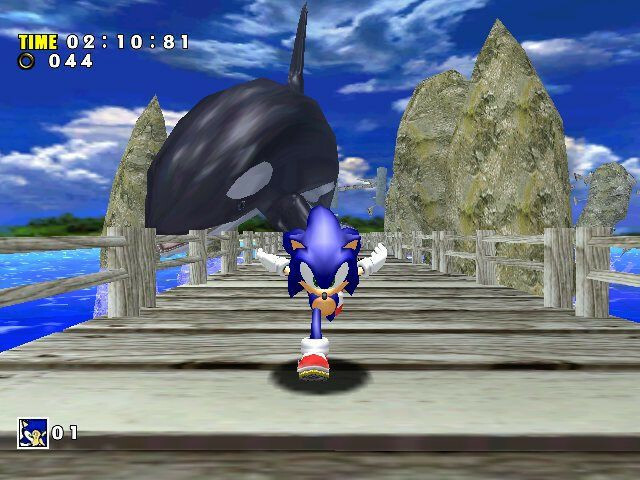 Combined with broken lighting and a plethora of other problems in the ports, people who play them first without knowing what the Dreamcast version was like may get a wrong impression of the game. This could be part of the reason Sonic Adventure is no longer remembered as fondly as it used to be. 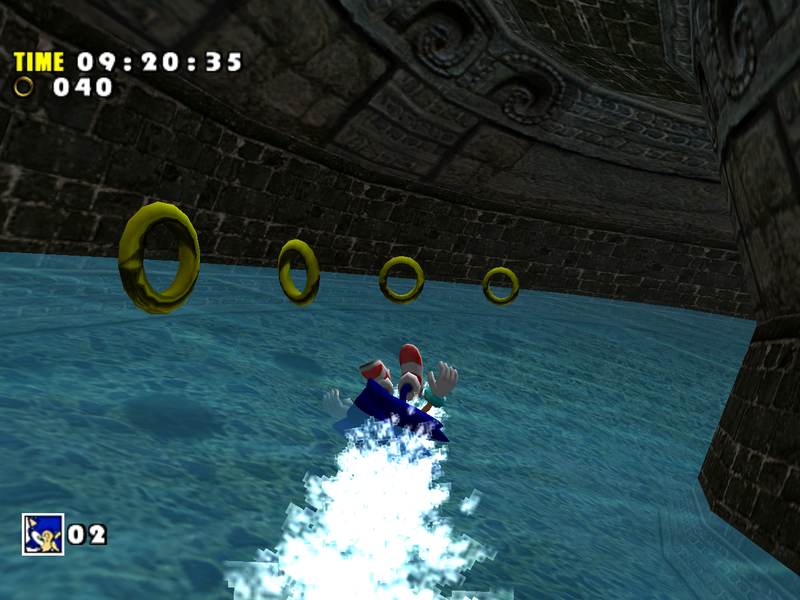 The Steam and nextgen console ports in particular have done a lot of damage to the reputation of the Dreamcast classic. 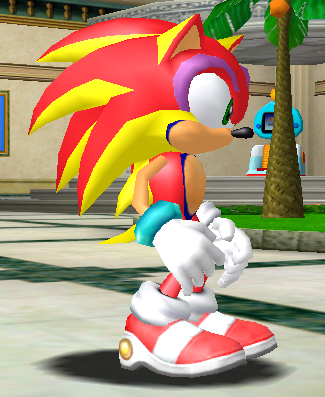 Thanks to the efforts of the SADX modding community, the textures in the 2004 PC version are no longer an issue. 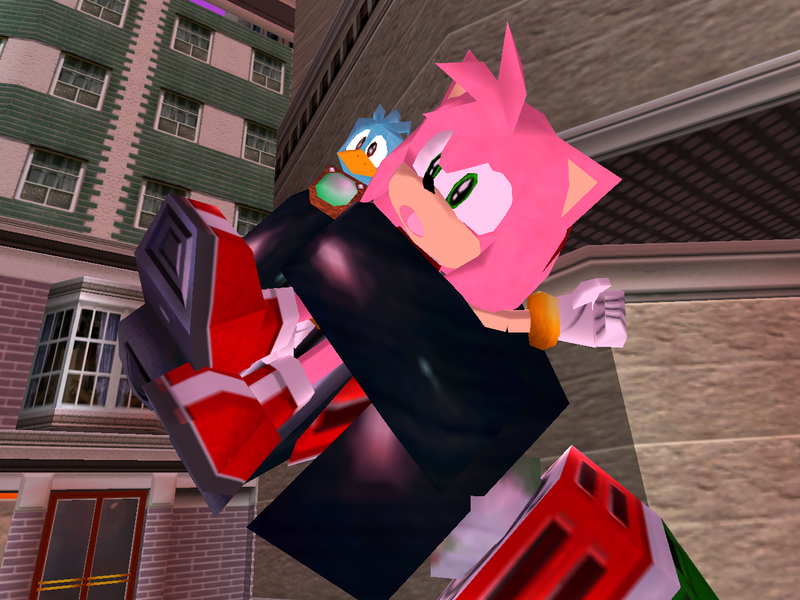 The developers of SADX Mod Loader have added a texture pack feature, which allows to load custom textures in lossless formats like PNG for any part of the game. 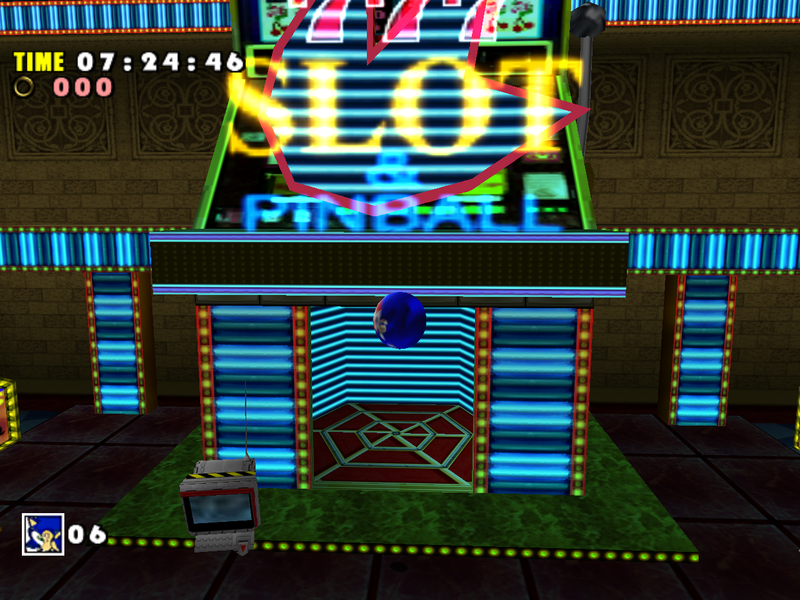 The Dreamcast Conversion mod restores original PVR textures for the whole game, and the HD GUI mod adds custom high resolution textures for HUD, menus and other 2D items. 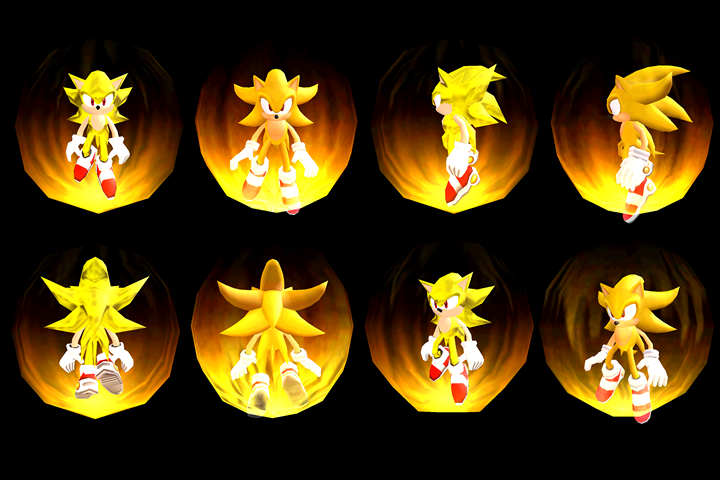 To install these mods, head over to the “Fixing the PC version of SADX” section of this blog.